This is a loose, slouchy fit through waist, but skims bust and hips for a flattering but comfortable silhouette. Sleeves are a dolman style and lower sleeve is a slimmer fit, but still has a bit of ease to allow for layering under comfortably. The cocoon, circular shape is perfectly on trend and easy to dress up or down! 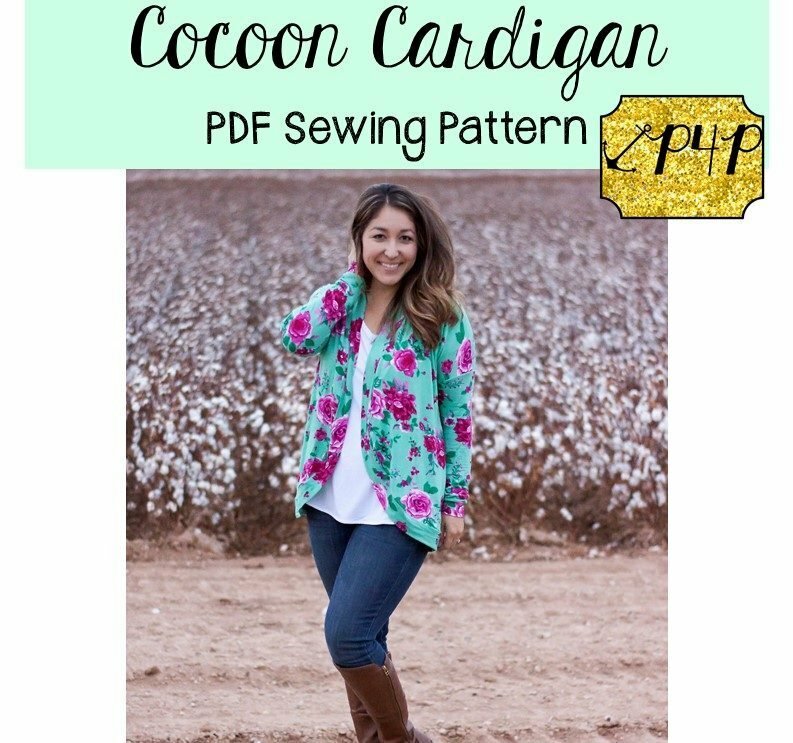 This pattern pairs amazing with a sweater knit, rayon spandex, rayon blend french terry or other knit fabric with a softer drape. It comes with almost endless options! The cropped version looks great with a dress, tunic looks great with jeans or leggings. They both include short and tall bands. The tall bands give a shawl collar effect. Sleeve lengths include short (both hemmed and banded), 3/4, long (hemmed, short or tall banded). We also added 2 different pocket styles! Inseam or patch pockets finish off this cardigan for the perfect staple piece in your closet! Must have a serger and must be able to thread it.